Nuova CEV crystal factory’s history dates back as early as the first years of the second post-war period. From 1945 up to the present day Nuova CEV has been perpetuating the long-standing tradition of the master glassworkers in forging hot, fascinating living matter: crystal. Nuova CEV has hired up to 300 workers. Over the years, Nuova CEV has been manufacturing plain as well as coloured and transparent glass, including the renowned “opaline”, while in the 1970s and 1980s it started producing lead crystal. Nuova CEV was the first company in the area of Empoli and Valdelsa to experience new production techniques such as the glass-washing robot and the semi-automatic stamping machine. Also, Nuova CEV was one of the first companies to use state-of-the-art equipment for cold work of manufactured goods, the so-called “glass stoning”. As many other Italian glass factories, Nuova CEV experienced a hard time during the 1950s and the 1980s. As of 1987, though, the situation changed and today’s production, mostly the result of handicraft, is something Nuova CEV is extremely proud of. Abandoning batch production for quality production proved to be a winning choice. Even though this meant hard commitment to constant improvement, it all possessed undeniable fascination. Therefore, since 1987 Nuova CEV has been relying on the expertise of master glassworkers, thus starting a successful working cycle which attracted even those young workers who approached the job for the first time with the idea that it was a sort of “antechamber to hell”. In the 1960s master glassworkers were regarded as a special caste. As a consequence, lower castes such as gatherers, takers-in, and helpers were bullied and bossed about by master glassworkers. Older, retired masters nowadays recount of “scorching made by the hot pipe”, “bucketfuls of water” and other similar episodes which were reserved for those subordinate workers who didn’t comply with the masters’ orders. Some subordinate workers went as far as washing their masters’ feet, enduring such humiliation with the secret hope of becoming a master glassworker in their turn. Nowadays things have changed. There is no more bullying nor bossing about of younger workers. Ovens are insulated, thus reducing extremely hot temperatures. There are no more polluting dusts, a threat to the workers’ health. Asbestos has been completely disposed of. What is left of the old job is just the pleasure of learning a craft as old and long-standing as the hills. Nuova CEV boasts of the young master glassworkers and engravers, as well as of the other workmen, a young team keeping an ancient craft alive. That is why Nuova CEV is always training new people, choosing to invest in them, not in machinery. Nuova CEV also features a number of internal services such as glass stoning, polishing, and bonding. 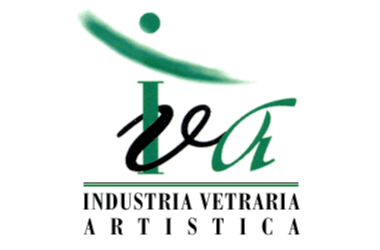 This all contributes to making Nuova CEV a large small business of skilled craftsmen who make each product a unique piece of art. There are no limits to fantasy, nor to our production. Do you have an idea? Do you have a project?… Do you have a small sum as well? Come and visit us, and we’ll help you make it real. That’s our motto.